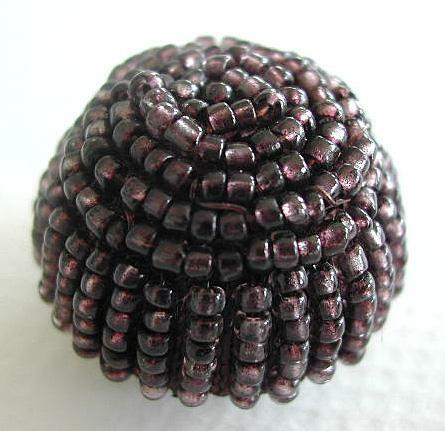 Ball shaped Italian button covered with numerous tiny transparant plastic seedbeads in a dark lavender/dark amethyst color. The beads are sewn on a fabric base. It has a black plastic base with a tunnel shank.